This blog post is sponsored by Staples. Office products power your office, but People Products power your people. Coffee, snacks, even desk-cleaning wipes – they make work feel like home and your team feel good. Learn more about People Products at Staples. 1. Encourage the Use of Hand Sanitizer and Hand Washing. The first thing students do when they enter my classroom makes a big difference. They use hand sanitizer. While I encourage them to wash their hands frequently, they can’t always do that between classes. A 2002 study found that telephones, desks, water fountain handles, microwave door handles, and computer keyboards are the most bacteria-laden culprits in our workplaces today. Get deals on hand soaps and hand sanitizers at Staples. I have a Purell touch free dispenser on my wall but I also have an extra pump sanitizer that I’ll use if a student starts sneezing or needs it. I spray antibacterial electronics cleaner onto a microfiber cloth and wipe down keyboards at least once a week. But when sickness is happening, I’ll do it even more. Then, after I do this, I’ll go scrub my own hands with soap and water. This is one of those little extras I do because I love the kids. After I started this weekly habit, I noticed that I didn’t get any “sick computers” any more. Kids still get sick, of course, but I believe I’m doing all I can. You can pick up electronics wipes but I look for antibacterial cleaning wipes for the keyboard. Because I have so many computers, I use antibacterial electronics spray spray to make sure the keyboards are disinfected. Spray onto the microfiber cloth and then wipe the keyboard. Don’t spray the keyboards directly. Also disinfect other places where students touch a lot. Look for healthy snacks and plan ahead. I keep almonds and walnuts at my desk for break. When I don’t plan ahead, I get hungry and eat “whatever.” I’ll find that by the afternoon, I have no energy. So, I have a snack cabinet where I stock healthy snacks for the week. Plan ahead. Buy several weeks worth of healthy snacks. Staying hydrated helps you think. It keeps you healthy. Stock water in your room, or buy a refillable water bottle. I keep my double walled water bottle by my desk and filled. It helps me feel great and think more clearly when I’m hydrated. Several years ago, I started having knee problems. My husband is an industrial engineer. They often deal with ergonomics. He came and looked at my desk and work area. He said it was my chair! He bought me a new chair for my birthday. (Most teachers can get their school to buy one, but it wasn’t the case for me.) That chair was one of the best investments we have made in my health! My knee problems were gone within the week! Make sure your work area fits your build and helps you have good posture. I adjust my chair for me and do not let my students borrow it — ever. That chair is an investment in my good health. Find an ergonomic chair with the proper support for your back, the elbows, and your height. My husband says that you need a chair where the height of the chair, position of the seat, angle of the back, and height of the armrest can be adjusted. The chair should promote good posture. Thrive! You Can Do It! Teachers, take care of yourself! You are important! 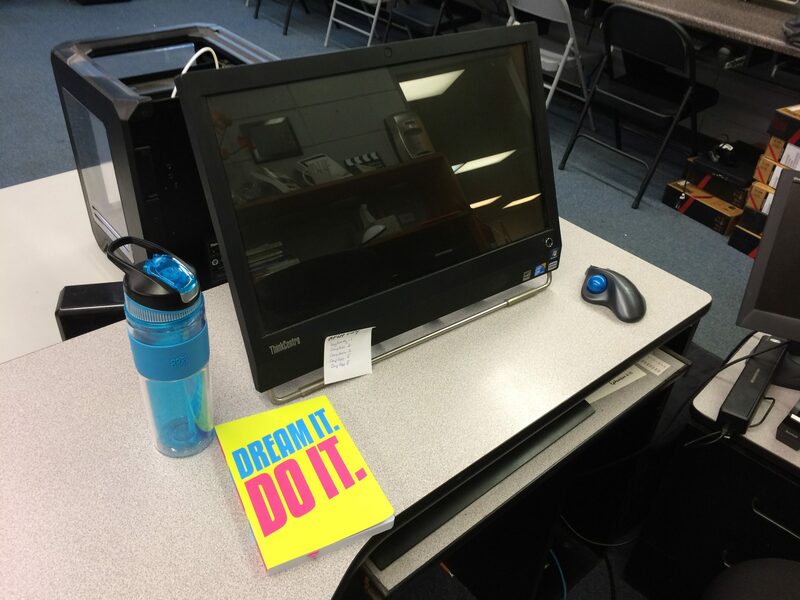 As I wrap up this series of blog posts, I want to give a shout out to Staples and all they have been doing for teachers! I’ve had a great time as their Back to School Ambassador for teachers. Staples has donated $10 million to Think It Up and are funding student projects as I type this blog post. Staples has an incredible Teacher Rewards program. Staples has even jumped into genius hour and have had students design school supplies. My son has the locker shelf and pencil bag designed by students and loves them. And now, they’re wanting me to help you nourish and take care of yourself! I hope you’ll take time to check out all of their People Products. This back to school time has been awesome! If you’re still shopping, check out my highly recommended back to school supplies and my favorite things to buy at Staples. Thanks, Staples. Take care of yourself, teachers! 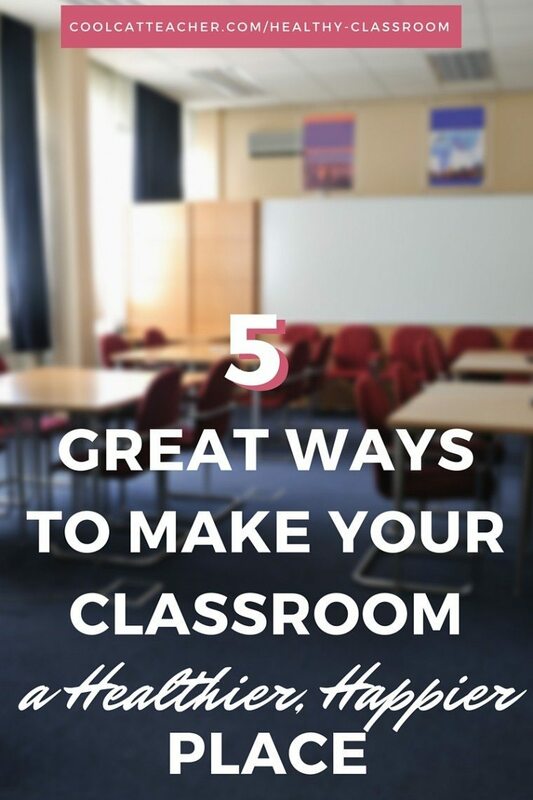 The post 5 Great Ways to Make Your Classroom a Healthier, Happier Place appeared first on Cool Cat Teacher Blog.